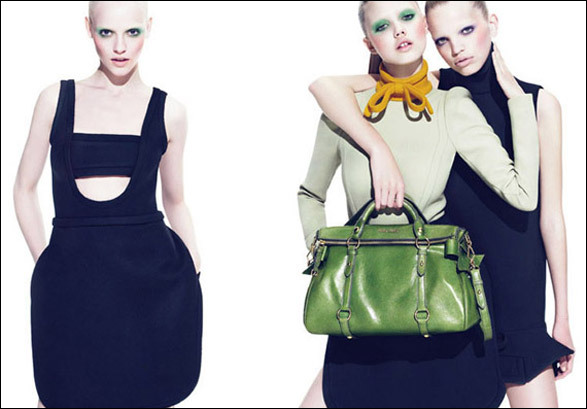 I am sure many of you have seen this Miu Miu fall campaign. I just love the combination of navy and yellow and these images are so inspiring to me. So, a couple of weeks ago I stopped into Anthropologie to buy this belt for my friend's wedding and of course I ended up with extra items. I bought this yellow belt and this Ruffian little navy tea dress (on sale) and I wore the outfit for our anniversary dinner in Nantucket. What color combinations are you excited to try this fall?